Dudley Sutton, known as Tinker from Lovejoy Actor, a Socialist a good and decent man... campaigning for our NHS, in the closing moments of his life... its what you stand for, not what wealth and status you can acquire. Dudley wore his heart on his sleeve, supporting our NHS and Socialism to the day he died. 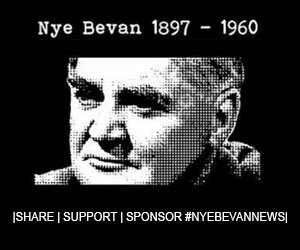 His heart shone through, he cared, he didn't want to see the quislings, carpetbaggers and privateers to cash in as the Tory regime "flogged it off" Support the NHS... This short video with Dudley Sutton (1933-2018) was made by filmmaker John Furse as part of his documentary about NHS campaigners and the privatisation of the NHS ‘GROUNDSWELL: THE GRASSROOTS BATTLE FOR THE NHS. AND DEMOCRACY’. Dudley Sutton, known as Tinker from Lovejoy Actor, a Socialist, and a good & decent man… campaigning for our NHS, in the closing moments of his life… its what you stand for, not what wealth and status you can acquire. Dudley wore his heart on his sleeve, supporting our NHS and Socialism to the day he died. This short video with Dudley Sutton (1933-2018) was made by filmmaker John Furse as part of his documentary about NHS campaigners and the privatisation of the NHS ‘GROUNDSWELL: THE GRASSROOTS BATTLE FOR THE NHS. AND DEMOCRACY’.